In iTunes 12.1.1.4 the sync options is little bit confusing. I tried hard to find out this option. The otpion name shown in the iTunes 12 is confusing. 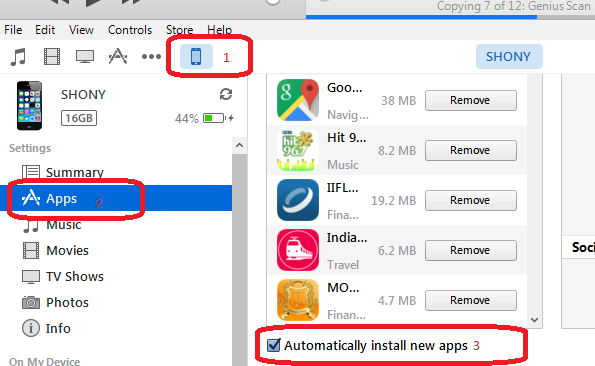 The option check box shows “Automatically install new apps”. Here is the steps to sync the apps with iTunes 12.